Working life in Romania - key characteristic of working life across a range of parameters. Eurofound’s European Quality of Life Survey (EQLS) shows that the share of respondents reporting difficulties in making ends meet has decreased in Romania from 77% in 2003 to 66% in 2016. However, this is still significantly higher than the respective EU28 average of 39% in 2016. The share of respondents reporting that they feel free to decide how to live their lives has decreased in Romania from 41% in 2011 to 33% in 2016. Nevertheless, the share is still higher than the EU average of 26% in 2016. Other indicators shown below about quality of life in Romania have remained fairly stable in recent years, although often slightly below their EU28 averages. Work–life balance related problems are relatively more frequent in Romania than on average in the EU. For instance, in 2016, 67% of respondents in Romania were too tired from work to do household jobs at least several times a month, compared with 59% for the EU28. Furthermore, in 2016, 52% of respondents in Romania experienced difficulties to fulfil family responsibilities because of work at least several times a month, which was significantly higher than the EU average of 38%. The least common work–life balance problem was having difficulties to concentrate at work because of family responsibilities, reported by 36% of respondents in Romania in 2016, which was also much higher than the EU28 average of 19%. When looking at the gender-specific breakdowns, it can be observed that men in Romania report work–life balance problems more often than women. The Social Exclusion Index has improved in Romania from 2.6 in 2007 to 2.3 in 2016 (on a scale of 1–5, where a higher value means a higher incidence of social exclusion). However, it is still higher than the EU28 average of 2.1 in 2016. Similarly, perceived tensions between poor and rich people have decreased, from 48% of respondents reporting a lot of tension in 2011 to 40% in 2016. Trust in people has decreased in Romania in recent years, from 5.4 in 2007 to 4.8 in 2016, falling below the EU28 average of 5.2 in 2016 (on a scale of 1–10). The perceived quality of several public services has increased in Romania since 2011. For instance, the perceived quality of health services has increased from 4.7 in 2011 to 5.9 in 2016 (on a scale of 1–10). Similarly, the perceived quality of the education system, childcare services, long-term care services and social housing has increased almost 1 point during the same time period. This implies that, even though the perceived quality of public services is lower in Romania than on average in the EU, the quality ratings are making progress towards their EU28 averages. This profile describes the key characteristics of working life in Romania. It aims to complement other EurWORK research by providing the relevant background information on the structures, institutions and relevant regulations regarding working life. This includes indicators, data and regulatory systems on the following aspects: actors and institutions, collective and individual employment relations, health and well-being, pay, working time, skills and training, and equality and non-discrimination at work. The profiles are updated annually. The Romanian labour market in 2018 was marked by a slight increase in employment, which rose to 71.3% for 20–64-year-olds in Q3 2018, exceeding the national Europe 2020 target. The unemployment rate reached the lowest level registered to date – 3.9% of the active population in November 2018. There was a substantial increase in the monthly minimum wage, to €410, and a public debate on its differentiation by educational level. Much unrest was caused by the application of the Unitary Pay Law and the fiscal reform package adopted at the end of 2017, and by the transfer of social contributions from employers to employees. However, despite these changes, the risk of in-work poverty increased and labour migration continued. Economic performance was lower than expected, with Romania’s gross national income per capita in purchasing power standards reaching 61.2% of EU level. The transfer of social contributions from employers to employees was supposed to increase the base gross wage accordingly, so as to maintain the net wage received by the employee. Through special amendments to the social dialogue procedure, the wage renegotiation was made compulsory in both the public and the private sectors, but net wages did not subsequently remain the same in all cases. After the changes had been applied, fiscal taxes on wages decreased to 2.25% for employers and increased to 41.5% for employees. Additional changes therefore had to be made in order to regulate some unfavourable tax situations. Despite high levels of labour immigration, Romania continued to face labour shortages in some industries. To increase the number of foreign workers hired by local companies, the government simplified the conditions for hiring them through Law 247/2018, which was adopted in November 2018. The government also decided to increase to over 10,000 the number of foreign workers that could be hired by local companies for 2018. In August 2018, the Ministry of Labour and Social Justice launched a public debate on the draft of a new pension law, according to which pension payments would be based on contributions, seniority, equality, social solidarity and other principles. The pension point would thus reach 45% of the average gross wage. Social partners criticised this new pension reform, questioning its sustainability and equitability. Another topic of public debate was the new pension pillar introduced under the name of ‘occupational pensions’. Social partners repeatedly raised objections to the reforms proposed by the government, criticising the applicability of the Unitary Pay Law and the impact of the new fiscal regulations adopted in 2017. They pointed out that thousands of public sector workers and possibly millions of private sector employees had lower net wages despite all the changes. The changes also led to tensions between social partners and public authorities . Even though employment reached a peak in Romania in 2018, most jobs remained at minimum wage level. Low wages therefore continued to be an issue alongside the workforce crisis, pushing the authorities to undertake various measures aimed at fixing the problem of labour shortages. Between 2012 and 2017, there was a substantial increase in GDP (to 26.2%), while the EU average was much lower (7.4%). During this time, unemployment rates for all categories decreased slightly, and total unemployment in 2017 was 4.9%, below the EU average of 7.6%. Employment rates increased during the five-year period, reaching 67.3% in 2017, but youth employment decreased by 0.5% and stood at 30.0% in 2017, considerably lower than the EU average of 41.7% for the same year. The main law in the field of labour legislation is the Labour Code 53/2005, modified in 2011 in the sense of a higher flexibility in labour relations. Since 2011, the Labour Code was amended several times. In August 2017, in an attempt to fight undeclared work, the Government amended the Labour Code to include definitions of working situations to be considered as undeclared work. According to the new provisions, undeclared work is defined as employing a person without submitting an employment report to the General Register of Employees no later than the day before the start of the activity; employing a person without an individual employment contract in written form, the day before the start of the activity; employing a person when their individual employment contract is suspended; employing a person outside of part-time working hours. The work of an employee outside the work schedule established under the individual part-time employment contracts has ceased to be sanctioned as a mere failure to comply with the provisions on overtime (sanctioned with a fine of RON 1,500 to RON 3,000), but has become a situation of undeclared work (sanctioned with a fine of RON 10,000). Starting in August, each employer is obliged to keep a copy of the individual employment contract for employees in the respective workplace. The civil fine for failure to comply with this legal provision is RON 10,000 (EUR2,200). In 2011, a new Social Dialogue Law (62/2011) abolished national collective bargaining, which implied a unique national collective agreement. Currently, collective bargaining is allowed only at company and at sectoral level. The Social Dialogue Law outlines the conditions for creating a trade union or employers’ organisation, the representativeness criteria for employers’ organisations and trade unions, and the functioning of social dialogue in Romania. In 2017, the Government initiated a consultation process with social partners aiming to bring about substantial changes to the Social Dialogue Law. The Government aims to revitalise social dialogue at sectoral level by redefining the representativeness criteria and the economic sectors. However, the consultation did not manage to achieve a consensus between all parties and therefore this will continue in 2018, when a final form of the law is expected to be drafted. Social dialogue in Romania only became effective after the country’s transition to democracy in 1989. Before 1989, although trade unions were legally allowed, in practice they functioned as an annex to the Communist Party and the state. After 1989, the privatisation of state-owned companies put the jobs of thousands of workers in jeopardy, resulting in a rather conflict-driven type of industrial relations. Despite their opposition to it, the trade unions did not obstruct the privatisation process. The restructuring and privatisation led to a massive decline in trade union membership. Once the transition period and the deindustrialisation process came to an end, industrial relations became more consensus-oriented. Collective bargaining legally allowed at all levels – national, sectoral and company. The national and sectoral trade unions had a stronger negotiation capacity than the company-level unions, which often lacked the know-how and human resources. These circumstances led to the situation in which the national and branch collective agreements were decisive for the negotiations of wages at the company level. In 2011, social dialogue legislation was changed, resulting in a new law (62/2011) that abolished national collective bargaining and made sectoral bargaining almost impossible. The abolition of national-level collective bargaining left approximately 1.2 million employees uncovered – those working in 450,000 companies with less than 21 employees because for these companies collective bargaining is not compulsory by law. Collective bargaining at company level became more important in this context, but company-level trade unions still struggle against a lack of adequate expertise and the high representativeness criteria imposed by law. According to the data from the Labour Inspection, in 2015 more than 90% of the collective agreements concluded at company level were concluded by representatives of employees, not by trade unions. Trade unions, employers’ organisations and public institutions play a key role in the governance of the employment relationship, working conditions and industrial relations structures. They are interlocking parts in a multilevel system of governance that includes European, national, sectoral, regional (provincial or local) and company levels. 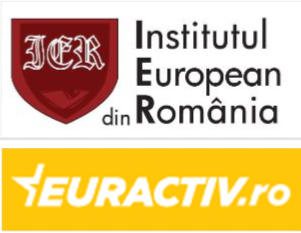 This section looks into the main actors and institutions and their role in Romania. In Romania, the public authority and institutions active in the industrial relations area are detailed below. The National Tripartite Council for Social Dialogue (Consiliul National Tripartit pentru Dialog Social, CNTDS) is a national-level consultative body that includes trade unions and employers’ organisation representatives as well as representatives of the government, the National Bank and the Economic and Social Council. The Economic and Social Council (CES) is a national institution, formed by civil society, trade union and employers’ organisation representatives, that must be consulted on any legal changes with implications for the economic, social and fiscal area. In 2017, CES was relaunched, after its activity had been blocked for several years due to unclear legislative provisions. The Ministry of Labour and Social Justice is the public authority responsible for social protection, employment, labour mobility. The Ministry of Labour and Social Justice is in charge of the elaboration and application of policies and strategies regarding social inclusion, social protection, employment and the labour market. Several public institutions responsible for working conditions are coordinated by the Ministry of Labour (Labour Inspection, the National Agency for Occupation of the Workforce, the National House of Public Pensions). The National Agency for Occupation of the Workforce (ANOFM) oversees the application of employment strategies and professional training as well as the implementation of social protection for the unemployed. Labour Inspection supervises and controls the application of the labour legislation by the employers concerning working conditions, health and security at the workplace and other legal provisions. Although there are no distinct labour courts, work litigation/conflict settlement may be done by initiating judicial action through the regular courts. When resolving conflicts between an employer and employee, the newly issued Civil Code introduces a mandatory provision requiring the parties to go through a session during which the advantages of the mediation procedure are presented. Upon completion of this informative session, the parties may decide to carry on with the mediation procedure to resolve the conflict or to present their case in court. The Labour Code and Law 319/2006 provide the legal framework for the area of health and safety at the workplace. The law stipulates the creation of Health and Safety Committees in companies with more than 50 employees. However, the Labour Inspectorate can compel the creation of Health and Safety Committees in companies with fewer than 50 employees if the nature of the activity and the risks associated with the workplace require such a committee. The committees, formed by representatives of employers, workers and labour medicine specialists, coordinate and supervise the application of the health and safety provisions. The Ministry of Labour and Social Justice is the authority in the field of health and security at the workplace. They are also in charge of elaborating strategies and policies as well as the legislation monitoring and appointing the companies/people that provide prevention and protection services in the field of health and safety at the workplace. The Ministry for Public Consultation and Social Dialogue, created in 2017, deals with the organisation and promotion of a rigorous framework for public consultation with civil society and the coordination of activities related to social dialogue. The Ministry of Health is the key authority in the field of public health assistance that elaborates the regulations in the field of health protection at the workplace. The Ministry of Health also supervises workers’ health and is responsible for professional training in the area of occupational health. The Labour Inspection controls the application of the health and safety at work legislation through implementing programmes regarding professional risks, running investigations and imposing sanctions if need be. Lastly, the National Institute for Scientific Research within the Labour and Social Protection offers scientific research that substantiates the policy measures in the area of health and safety at work. A trade union organisation is considered to be representative at national level if the affiliated organisations account for at least 5% of the overall number of employees in the national economy and it has territorial structures in at least 50%+1 of the counties, including the capital, Bucharest. Similarly, an employers’ organisation is considered to be representative if its members account for at least 7% of the overall number of employees at national level and it has territorial structures in 50%+1 of the counties, including Bucharest. The right to join a trade union is limited only to those workers that have an individual work contract, which prevents workers involved in atypical forms of work from joining a trade union. Moreover, Law 62/2011 provides that a trade union may be formed by at least 15 founding members, all employed in the same company, which prevents workers in companies with fewer employees from forming a union (the previous legislation provided that a trade union could be founded by 15 employees from different companies, but in the same profession). According to the most recent data, in 2015 there were 468,374 companies with less than 15 employees, employing over 1 million people and where legislation restricts the creation of a trade union. People who hold a public function, such as magistrates, people in the military, employees of the Ministry of the Interior and employees of the secret services, cannot form or join a trade union. Currently, BNS, Cartel Afla, CNSLR Fratia, CSDR and Meridian, the five nationally representative confederations, publish their official documents on the Ministry for Public Consultation and Social Dialogue website. Together, they account for 1.3880,237 members out of 5,528,199 employees, indicating a trade union density of 25%. The ICTWSS database puts union density in Romania at 32% in 2008, while the ILO estimates indicate a union density of 32.2% in 2007. These data might suggest that no significant loss in union density took place after 2011, but there is some difficulty in assessing the accuracy of this estimation, since data are unreliable and often conflicting, depending on the source. There seems to by a high variation of trade union density at sectoral level – some sectors, such as public administration, education or health care have a trade union density exceeding 50%, while in manufacturing, clothing and commerce it is much lower. One of the main reason is the high number of companies with less than 15 employees, which cannot be unionised, according to the law – 45% of the commerce sector’s employees and 32,6% of the constructions’ sector employees work in establishments with less than 15 employees, according to some estimates. Achieving representativeness seems to be harder at sectoral level and at company level. Data from the end of 2015 show that representative trade union federations exist in 21 economic sectors, out of 29 economic sectors in total. Large sectors, such as textiles and commerce, that together account for around 1 million employees, do not have representative federations. Research shows that the actual representativeness threshold for some sectors is much higher than the legal one – 13.3% for the commerce sector, 10.4% for construction, 8.7% for IT&C. There are five national representative confederations in Romania: CNSLR Fratia, CNS Cartel Alfa, BNS, CNS Meridian and CSDR. Not at national level ever since law 62/2011 abolished national collective bargaining. Signed the collective agreement for the healthcare sector on 21 November 2013. No, law 62/2011 abolished national collective bargaining. Yes, signed the collective agreement for the primary education sector on 13 November 2014. Yes, signed the collective agreement for the health sector on 21 November 2013. The employers can freely form or join an employers’ organisation. An employers’ organisation can be affiliated only to a hierarchically superior employers’ organisation. The 2011 Social Dialogue Law stipulates that the employers’ organisations that pursue national representativeness must account, through the affiliated companies, for at least 7% of the total workforce in the economy (minus public sector employees). The employer federations must account, through their members, for at least 10% of the total workforce in the respective sector. The effect of these legal provisions was a drop in the number of nationally representative confederations, from 12 in 2011 to 6 in 2017. In 2017, six employers’ organisations were acknowledged as representative. The official statistics do not provide data on the number of companies and employees for all the employers’ organisations that are representative. The Ministry of Labour published the documents for only four of these nationally representative confederations along with the documents of 16 employers’ confederations representative at the sector level. *estimated figures, based on the representatives files available on the Ministry of Social Dialogue website. Tripartite social dialogue is organised at national, territorial and sectoral level. In an attempt to reform social dialogue at all levels, in 2011 the composition of the Social and Economic Council (CES), a tripartite body for social dialogue at national level, was modified. After the 2011 legislative change (Law 62/2011), the government left CES and was replaced instead by the representatives of civil society, which, in the opinion of some stakeholders, transformed CES, which was formerly a tripartite body, into a bipartite social dialogue structure. CES is a consultative forum and it must be consulted for all the draft laws in its area of competence (economy, taxes, labour, social protection, health, education, research, culture and wages). Law 62/2011 provided for the formation of a new body for tripartite dialogue: the National Tripartite Council for Social Dialogue (Consiliul National Tripartit pentru Dialog Social, CNTDS), a tripartite consultative body formed by representatives of the employers’ organisations, trade union organisations, the government, the National Bank and the president of the CES. The CNTDS is the consultative forum for setting the minimm wage at national level, for analysing governmental strategies and programmes and for solving, via tripartite dialogue, economic and social disputes. On several occasions, the trade unions accused the government of not convening the CNTDS regularly or not adequately preparing for the tripartite body’s meetings and thus obstructing social dialogue. At local level, the social dialogue commissions are established at the prefecture level. The participants are the representatives of local administration, representatives from each nationally representative confederation as well as other relevant stakeholders that may take part should their presence be agreed upon. At the sectoral level, social dialogue tripartite committees are formed within 17 public authorities and institutions, such as the Ministry of Labour, Ministry of Finance, Ministry of Health and so on. Representation of employees at the workplace is accomplished by trade union organisations at company level. 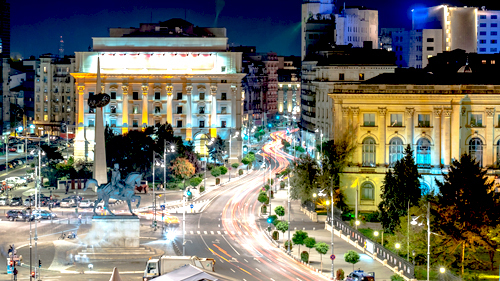 There are no work councils or other bodies at the company level in Romania that would ensure employee representation. However, a trade union cannot be founded in companies with fewer than 15 employees, leaving workers employed by small companies without any legal representation. In companies with more than 20 employees, but without a trade union organisation, the workers are represented by the employees’ representatives . The establishment of European work councils was introduced in 2005, but the law only applies to companies of community size. The trade union functioning is codified by the Social Dialogue Law (62/2011). Employees with a working contract that work in the same company. Yes. They defend the rights of their members in courts and negotiate the collective agreement (only if they fulfil the representativeness criteria). A trade union can be founded by a minimum of 15 employees working in the same company. In order for a trade union to be representative, it must account for at least 50%+1 of the overall employees of the company. The Labour Law provides the legal context regarding the employees’ representative. The representative of the employees is elected from within the company’s employees, with the vote of at least half of the employees. Yes. They promote the workers’ interests; inform the labour inspectorate whenever the labour legislation is not properly applied; and negotiate the collective bargaining (when there is no representative trade union organisation in the company). A representative of the employees is elected only in companies that have at least 20 employees and where there is no representative trade union organisation. In the figure, we see a comparison between Romania and European Union for the people with 'Establishment size : All' when asked 'Official structure of employee representation present at establishment'. For the 'Yes' answer, Romania's score is higher than the European Union score. For the 'No' answer, Romania's score is lower than the European Union score. The National comparisons visualisation presents a comparative overview for the values of all answers between two selected countries. The central concern of employment relations is the collective governance of work and employment. This section looks into collective bargaining in Romania. Social Dialogue Law 62/2011 abolished collective bargaining at national level. At the same time, the new legislation replaced the branch collective bargaining with sectoral collective bargaining. The new legal framework decentralised collective bargaining by increasing the importance of the collective agreements at company level. Between 2011–2016, the only collective bargaining was at company level, but it is not mandatory to reach a collective agreement as a result of the bargaining. Collective bargaining is legally binding only at company level and only in companies with at least 21 employees. In January 2016, Law no. 1/2016 amended the Social Dialogue Law (no. 62/2011) and provided that in those units where the trade union is not representative (50%+1 of the company’s employees), the collective agreement can be concluded by the representative trade union federation to which the respective company union is affiliated. In such situations, the trade union federation is also entitled to conclude the collective agreement at the company level. The abolishment of collective bargaining left approximately 1.2 million employees working in 450,000 companies with fewer than 21 employees uncovered. As for the respective companies, collective bargaining is not compulsory by law. Before Law 62/2011 came into effect, the law provided a mechanism for extending collective agreements to companies that were not affiliated to the signatory federation. Under the 2011 legislation, such a mechanism no longer exists. One sectoral collective agreement was concluded in 2017 for the pre-university education sector. The agreement is concluded by the Ministry of Education and two representative union federations from the education sector (Federatia Sindicatelor Libere din Invatamant and Federatia Sindicatelor din Educatie Spiru Haret) and is valid for one year. After the 2011 legislative change, only 5 sectoral collective agreements have been concluded in total at sectoral level between 2012–2017, as opposed to 8 sectoral collective agreements concluded in 2010. The 2011 decentralisation of social dialogue led to the concentration of collective bargaining at company level, a situation perpetuated in 2016. Data from the Labour Inspection indicate that in 2015 only 1,099,809 employees (less than 25% of the overall number) were covered by a collective agreement. Previous data indicated that following the abolition of national collective bargaining in 2011, the collective bargaining coverage had declined from almost 100% in 2010 to approximately 35% in 2013. After the 2011 reform of the social dialogue legislative framework, Romania moved from a centralised to a decentralised collective bargaining system. Before 2011, national collective bargaining was very important, as its provisions were mandatory for the lower levels of the bargaining system (branch, sector and company). In theory, collective bargaining at sectoral level should play an important role, as the provisions of the sectoral collective agreement are mandatory (under specific legal conditions) for all the companies belonging to the respective sector, but in practice the sectoral collective bargaining is blocked. As a result, collective bargaining at local level (company level and group of units) is more important. The clauses of the collective agreement signed at the sectoral level are mandatory for all the employees of the companies belonging to the respective sector. However, a collective agreement is considered sectoral only if the number of employees from the companies affiliated to the signatory employers’ organisation account for more than half of the overall number of employees in the respective economic sector. If this condition is not fulfilled, the collective agreement is registered as an agreement at the level of group of establishment. The bargaining round is initiated by the employer or by the employers’ organisation at least 45 days before the collective agreement in force expires. The collective bargaining cannot last more than 60 days and it is not mandatory for the bargaining to reach a collective agreement. In the public sector, the bargaining starts, as a rule, in the fourth quarter of the year, when the government adopts the decision regarding the minimum wage for the following year. sector. Also, a form of vertical coordination is ensured by the implicit coordination of wages demands by the trade union federations and sectoral employers’ federation, who are entitled by law to take part in collective bargaining at company level and even to conclude collective bargaining at company level in certain situations. There are no voluntary mechanisms of extension/application of the terms of collective agreements. The sectoral collective agreement is automatically applicable to all employees of the sector, but only if the units that are affiliated to the signatory employers’ organisation account for more than half of the employees in the sector. Otherwise, the collective agreement is not considered to be a sectoral agreement and is applicable only to the group of units that are affiliated to the signatory employers’ organisation. There were cases between 1999 and 2011 when branch collective agreements included derogations, allowing companies in economic and financial difficulties to derogate and to pay below the threshold. The collective agreements for the ferrous, nonferrous and refractory industries, for example, stipulated that for limited periods of time, ‘the minimum wage may be reduced, but never below 80% of the value initially bargained upon’. Between 2012 and 2013, some collective bargaining at establishment level contained clauses that allowed the companies to derogate from the statutory minimum wage. The derogation is permitted based on a financial and economic analysis showing that the company has financial difficulties. When a collective agreement expires, the social partners have the right to extend it by 12 more months. The extension is permitted only once; afterwards, renegotiation is the only available option. The employer or the employers’ organisation must initiate collective bargaining at least 45 days before the collective agreement in force expires. If the employer does not initiate the collective agreement, the trade union organisation is entitled to demand that collective bargaining must start at most 10 days from the written demand submitted by the trade union. If the employer refuses to start the bargaining, the trade union has the right to initiate a labour conflict. The collective bargaining should not last more than 60 days. If the employer and the trade unions cannot reach a consensus and conclude a collective agreement within this time, the trade union organisation has the right to start a labour conflict. The most important issues in collective bargaining in Romania are wages and payment for overtime. Issues like lifelong learning or gender equality are not as important. The right to strike is regulated by the Labour Code and the Social Dialogue Law (62/2011). The strike cannot be declared unless all other legally binding mechanisms for the reconciliation have been exhausted and a warning strike has taken place. A strike cannot be organised during the period of application of the collective agreement that is in force or during the mediation and arbitrage procedures (or if so, it is considered illegal). The law regulates two other types of industrial actions: the solidarity strike and the warning strike. The solidarity strike is declared with the aim to support the demands of the employees from other companies belonging to the same group of units or to the same sector. It cannot last more than one working day. The warning strike must last a maximum of two hours and must be organised at least two days before the ‘main’ strike. As of 2010, the National Statistical Institute no longer reports on strikes, arguing that no strikes have taken place between 2010 and 2017. 23 labour conflicts involving 10,540 employees (71.73% participation index); 8 conflicts resolved, 3 partially conciliated and 12 unresolved. 22 labour disputes involving 7,678 employees (91. 57% participation index); 11 resolved, 9 unresolved and 2 partially conciliated. 19 labour disputes involving 7,818 employees (59% participation index); 5 conflicts have been resolved, 5 partially conciliated and 9 unresolved. 9 labour disputes, involving 4,926 employees (end of third quarter of 2016). 4 disputes have been resolved, 2 partially conciliated and 3 remained unresolved. 6 labour disputes until the end of the second quarter of the year, involving 2,016 employees , with a 71% participation index. Four out of six conflicts were unresolved, one was solved and another one partially conciliated at the end of the second quarter of 2017. According to the legal framework (Law 62/2011), legal disputes can occur under very specific conditions: if the employer/employers’ organisation refuses to start collective bargaining; if, during the collective bargaining, the employer/employers’ organisation does not accept the demands of the employees; or if the parties involved in collective bargaining cannot reach a collective agreement until the finalisation of the bargaining. The law also provides for labour dispute resolution mechanisms: conciliation, mediation and arbitration. The conciliation procedure, organised by the Minister of Labour or by the labour inspectorates, is compulsory by law. If the parties involved in the conflict reach a consensus during the conciliation, the labour dispute is closed. If not, the conflicting parties have the right to go through the mediation and arbitration procedure. Individual industrial disputes are solved by law courts. The conflicting parties have the option to go through the mediation procedure. The competent courts that rule over the resolution of individual disputes are established by law. There are no labour courts in Romania, but only sections (departments) in charge of the labour disputes. The demand to start such a conflict is sent to the competent court located in the constituency of the person initiating the complaint. The main aspects covered are the unilateral termination of the individual work contract, financial aspects and unilateral changes in the provisions of the work contract. Under legal provisions, the maximum term for solving individual labour disputes is 10 days, but in practice it takes longer. Individual employment relations are the relationship between the individual worker and their employer. This relationship is shaped by legal regulation and by the outcomes of social partner negotiations over the terms and conditions governing the employment relationship. This section looks into the start and termination of the employment relationship and entitlements and obligations in Romania. The minimum age for entering into an employment relationship is 16 years. Special requirements regarding working time are stipulated for workers younger than 18 years (16–18 years old), namely a maximum 30 hours or work per week, 6 hours per day. An individual working contract must be signed between the future employee and employer. The employee is required to pass a medical examination prior to starting work. The process is finalised when the contract is uploaded in REVISAL (a database in which employees are registered). In order to test the employee’s skills, a trial period of 90 days maximum for executive positions and 120 for management positions is stipulated by law. For disabled people, the trial period is 30 days maximum. employer cannot reinstate the position after dismissing the employee and hire someone else in the same position for six months) or due to the employer’s subjective reasons (such as non-compliance with the discipline rules (of behaviour in the workplace), breach of the working contract’s clauses or professional non-conformity to the job description). In case of repeated disciplinary measures, the employer is obliged to make a disciplinary investigation prior to the dismissal. In case the employee has to be dismissed because of non-conformity to the job description, a preliminary evaluation of the employee must be done in order to verify whether or not it is a case of job description non-conformity. The labour inspectorates verify the conformity of procedures upon the termination of an individual work contract. To be valid, a termination notice must be given by the employer to the employee in writing. An employee can contest the employer’s decision before a court of law. The legislation grants the second parent the right to one month’s parental leave. The second parent can either 1) request one month of leave or 2) compensation and leave are suspended for the other parent for this month and the first parent will have the choice of taking unpaid leave or coming back to work. 85% of the average income of the last 24 months, but not less than 85% of the value of gross national minimum wage and not more than 8,500 RON (around 1,800 EUR). There are no mandatory periods for fathers, fathers being subject to the same legislation as mothers if they want to take parental leave. Additionally, they can take 5 days of paid paternity leave, which can be supplemented with 10 more days if the father has taken child-rearing classes. The law provides for the right to paid sick leave for both employees and self-employed people. This applies to the entire period, from the first day. A medical certificate is required. The beneficiary of the paid medical leave must be insured and must pay the social contributions. The minimum contribution period for a paid sick leave is one month within the last 12 months prior to the period for which the medical leave is taken. For some diseases, like emergencies, HIV or TBC, the right to medical leave is not conditional on social contributions. The maximum period of paid leave is 183 days per year, but for some diseases, like cancer, HIV, etc., this period can be prolonged. The cover during the sick leave is 75% of the last 12 months’ revenues. For some diseases, the amount increases to 100%. The employee is obliged to present the medical certificate and documents that attest to the number of days spent on sick leave. Since 2014, sick leave is counted as a period of activity by the pension system. Starting in January 2011, the public system is regulated by Law 263/2010 on the unified pension system, which replaced the former Law 19/2000. The standard retirement age was gradually increased to 65 years for men and 60 years for women up to January 2015. Women’s retirement age will be raised to 63 years until January 2030. Early retirement is allowed under specific legal conditions. Until 31 December 2014, the minimum contributory period was 14.4 years and was raised for both men and women to 15 years after January 2015. The standard contributory period entitling the beneficiary to a full pension is 35 years for both genders, but it will come into force later for women (January 2030) than for men (January 2015). Pay: For workers, the reward for work and main source of income; for employers, a cost of production and focus of bargaining and legislation. This section looks into minimum wage setting in Romania and guides the reader to further material on collective wage bargaining. The national minimum wage is set by the government following consultations with the social partners. CNTDS (Consiliul National Tripartit pentru Dialog Social) provides the framework for consultations on the minimum wage. Until 2011, apart from the minimum wage set by the government, a national minimum wage was negotiated among social partners and the government and included in the national collective agreement. The minimum wage that is set by the government is compulsory for all employers. The collective agreements at sectoral or company level can set the minimum wages for the respective sectors/companies, but it should not be less than the minimum wage set by the government. The minimum wage is set for a full-time working day of eight hours. For part-time workers working less than eight hours per day, the minimum wage is calculated as a ratio of the national minimum gross hourly wage. In January 2017, the minimum wage increased by 16%, reaching 1,450 RON gross (313 EUR ). In December 2017, the Government increased the gross minimum wage to 1,900 RON (413 EUR) starting on 1 January 2018. However, due to the fact that the contributions for social security paid by the employees increased by 20%, the increase of the net wage is lower: the net income of the minimum wage earners will amount to 1,163 RON (252 EUR), as compared to 1,065 RON (231 EUR) in 2017. Although this is the highest gross minimum wage in the last 10 years (31%), the net wage increase is only 8%. Working time: ‘Any period during which the worker is working, at the employer’s disposal and carrying out his activities or duties, in accordance with national laws and/or practice’ (Directive 2003/88/EC). This section briefly summarises regulation and issues regarding working time, overtime, part-time work as well as working time flexibility in Romania. Working time is set by law (the Labour Code). The standard working week for employees over 18 years of age is 40 hours per week, divided into 8 hours per day. For employees under 18 years of age, it is 30 hours per week, divided into 6 hours per day. The maximum length of a working week must not exceed 48 hours, overtime included. In some cases the working time per week can exceed 48 hours, but only if the average of the working hours calculated for a period of 4 months does not exceed 48 hours per week. For some sectors of activity or professions, the parties of the collective agreement can agree on a longer reference period, but this period should not exceed six months. Through collective agreements a working day longer than 8 hours can be set for some activity sectors, but without exceeding 12 hours per day, in which case the long working day must be followed by a 24-hour break. Overtime is regulated by the Labour Law and is defined as work that exceeds the standard working time of 40 hours per week, 8 hours per day. Overtime work is not permitted for workers younger than 18 years of age. As a rule, overtime is compensated by free hours within a period of 60 days after it was performed. In cases where the compensation is not possible within the legal term of 60 days, the working time will be compensated in money. The amount of money for overtime is set by collective bargaining or in the individual work contract and cannot be lower than 75% of the wage. In 2017, the Labour Code was amended by Government Emergency Ordinance no. 53/2017, especially with regard to the definition and sanctioning of undeclared work. The impact of these changes was also significant in terms of organising working time and working hours. The inspections carried out by labour inspectors aimed at identifying cases of overtime which, in the case of part-time workers, constitute undeclared work. In addition, according to art. 119 of the Labour Code, as amended by Government Emergency Ordinance no. 53/2017, the employer is obliged to keep at the workplace a record of hours worked daily by each employee, highlighting the starting and ending hours of the work programme, and to submit this record to the labour inspectors, whenever requested to do so. The purpose of this amendment is to make the labour inspector's work more effective, as regards overtime. The Labour Code regulates part-time work. It stipulates that part-time workers should be treated comparably to the full-time workers within the same company performing the same or similar tasks. When a comparable employee does not exist within the company, the collective agreement or the legal provisions in the field are applicable. Romania has one of the lowest shares of part-time workers in the EU, and as a rule, this status is associated with high levels of poverty and social exclusion. The low levels of part-time employment in Romania could be explained by the involuntary choice of this form of work. While in other EU countries part-time work is a means of balancing family life with one’s career, in Romania it seems to be a choice made in the absence of better alternatives. Those working part time do so because invariably they have to take care of children or incapacitated adults. Another difference compared to the EU28 is the very small gap between male and female part-time employment, as illustrated in the table below. The Romanian Labour Code defines as night work any work performed between 22:00 and 06:00 hours. It also provides the criteria for the definition of a night employee, which can be a) an employee performing night work at least three hours of his/her daily working time; b) an employee performing night work amounting to at least 30% of his/her monthly working time. The law also provides that the normal length of the working time, for the night employee, shall not exceed an average of 8 hours a day, calculated over a reference period of maximum three calendar months, in compliance with the legal provisions on the weekly rest period. For employees whose activity takes place in special working conditions, the normal length of the working time shall not exceed 8 hours within any 24 hour period. The Labour Code also provides that a night employees shall benefit either from a work schedule shorter by an hour than the normal length of the working day, for those days when they perform at least three hours of night work, without any decrease of basic pay, or from extra pay of at least 15% of the basic pay for each hour of night work performed. The law prohibits night work for underage persons, pregnant women and breastfeeding mothers. The Labour Law defines shift work as any method of organising the work schedule, according to which the employees succeed each other at the same workplace, according to a schedule, including a rotating schedule, of continuous or discontinuous type, requiring the employee to perform an activity within different time ranges in relation to a daily or weekly period, as established in the individual employment contract. The law also defines a shift employee as any employee whose work schedule is of the shift work schedule type. The employees also have the right, between two working days, to a rest period that may not be shorter than 12 consecutive hours. In the case of shift work, that rest period between the shifts may not be shorter than eight hours. The Labour Code provides that the weekly rest period shall be taken in two consecutive days, usually Saturday and Sunday. Should the rest during Saturday and Sunday be detrimental to the public interest or the normal course of the activity, the weekly rest period may also be taken in other days. In this case, the employees shall enjoy an extra pay, as laid down in the collective labour agreement or, as the case may be, in the individual employment contract. In exceptional cases, the weekly rest period days may be taken on a cumulative basis, after a continuous activity that may not exceed 14 calendar days, with the authorisation of the territorial labour inspectorate and with the agreement of the trade union or, as the case may be, the representatives of the employees. The Labour Code provides for daily and weekly rest and breaks. Should the daily length of the working time exceed six hours, the employees shall have the right to a meal break and other breaks, under the terms provided for in the applicable collective labour agreement or in the rules of procedure. Young people under the age of eighteen years shall enjoy a meal break of at least 30 minutes if the daily length of the working time exceeds four and a half hours. Employees also have the right, between two working days, to a rest period that may not be shorter than 12 consecutive hours. Flexible work is regulated by individual work contracts or by collective agreement. Flexible work is not a widespread practice in Romania. It is more frequent in small companies than in medium or large companies. In the figure, we see a comparison between Romania and European Union for the workers with 'Age : All' when asked 'Do you have fixed starting and finishing times in your work?'. For the 'No' answer, Romania's score is lower than the European Union score. For the 'Yes' answer, Romania's score is higher than the European Union score. Data is based on question 39d from the sixth "European Working Conditions Survey (2015). The National comparisons visualisation presents a comparative overview for the values of all answers between two selected countries. Maintaining health and well-being should be a high priority for workers and employers alike. Health is an asset closely associated with a person’s quality of life and longevity, as well as their ability to work. A healthy economy depends on a healthy workforce: organisations can experience loss of productivity through the ill-health of their workers. This section looks into psychosocial risks and health and safety in Romania. The Eurostat data indicate an increase in the number of work accidents as well as in the frequency of work accidents per 1,000 employees for the last 4 years. If expressed in absolute numbers, the national statistics indicate a positive trend: the number of work accidents decreased from 4,897 in 2007 to 4,751 in 2016. A positive evolution is also evident regarding the number of fatal work accidents: this number decreased from 487 in 2007 and 505 in 2008 to 163 in 2016. The frequency of fatal work accidents per 1,000 employees decreased from 0.09% in 2008 to 0.04% in 2015 and 0,03% in 2016. The economic sectors in which most of the work accidents take place are commerce, transportation, construction and the food industry. Psychosocial risks and health and safety risks in Romania are regulated by the Labour Code and by a special law (319/2006) on health and safety at the workplace. There are no specific legal provisions concerning the psychosocial risks at work or work stress, but Law 319/2006 covers all kinds of health and safety issues at the workplace. Article 177 of the Labour Code provides that the employer must undertake all necessary measures for protecting the health and safety of the employees. The employer is obliged to evaluate the risks, avoid the risks, provide adequate equipment, train the employees and inform them about the professional risks, and adapt the working tasks to the employees’ capabilities. The implementation of health and safety at work should not involve any costs for the employees. The employer has to appoint one or more workers to be in charge of prevention and the protection of health and safety at the workplace. A health and safety commission, formed by employee and employer representatives, must be created in each company with more than 50 employees. In some high-risk sectors, the labour inspectorate can dispose of the creation of a health and safety commission in companies with fewer than 50 employees. All professional diseases have to be declared to the Public Health Institute and all work accidents must be reported to the labour inspectorates. Vulnerable groups, such as pregnant women, young people or disabled people, are granted special protection under the law. The Labour Inspection is the competent authority to supervise the implementation of the health and safety at work legislation. Non-observance by any person of the provisions regarding health and safety at work, leading to serious work accidents, is punished by law. In the figure, we see a comparison between Romania and European Union for the workers with 'Age : All' when asked 'Do you have enough time to get the job done?'. For the 'Always or most of the time' answer, Romania's score is higher than the European Union score. For the 'Rarely or never' answer, Romania's score is lower than the European Union score. For the 'Sometimes' answer, Romania's score is lower than the European Union score. Data is based on question 61g from the sixth European Working Conditions Survey (2015). The National comparisons visualisation presents a comparative overview for the values of all answers between two selected countries. Skills are the passport to employment; the better skilled an individual, the more employable they are. Good skills also tend to secure better-quality jobs and better earnings. This section briefly summarises the Romanian system for ensuring skills and employability and looks into the extent of training. The National Authority for Qualifications (ANC) is a public institution under the umbrella of the Ministry of Education that elaborates the national framework of skills identification, development and recognition and manages the national register of qualifications. ANC is responsible for the monitoring, evaluation and control of the professional training and skill formation system. The trade union organisations (one representative) and employers’ organisations (one representative) are members of the ANC’s board. Some trade union organisations have developed professional training programmes and training centres, offering training that is recognised and validated by ANC. The National Trade Union Bloc (BNS), for example, has 13 training centres, while CNSLR Fratia reports delivering skill formation and professional training through several projects financed by the European Social Fund. At company level, the Labour Law provides that employers with more than 20 employees must elaborate and introduce, in consultation with the trade union organisation, an annual plan for employee training. At national level, the National Agency for Labour Force Employment (Agentia Nationala pentru Ocuparea Fortei de Munca, ANOFM) is the public authority responsible for organising and implementing professional training and skills formation. The social partners are represented at the level of the ANOMF. ANOFM coordinates the activity of eight regional training centres and according to its figures 33,500 people received training in 2014, 32,977 in 2013 and 34,974 in 2012. 15 employees and collective bargaining is mandatory only for establishments with at least 21 employees. It is worth mentioning that in establishments with more than 21 employees, the employer must elaborate and apply, together with the trade union, an annual training plan. In the figure, we see a comparison between Romania and European Union for the workers with 'Age : All' when asked 'Have you had on-the-job training in the last 12 months?'. For the 'No' answer, Romania's score is higher than the European Union score. For the 'Yes' answer, Romania's score is lower than the European Union score. Data is based on question 65c from the sixth "European Working Conditions Survey (2015). The National comparisons visualisation presents a comparative overview for the values of all answers between two selected countries. For Romania, the European Company Survey 2013 shows that between 2010 and 2013, 58% of establishments with 10 or more employees reported changes in the use of technology, 49% introduced changes in ways to coordinate and allocate the work to workers and another 20% saw changes in their working time arrangements. In the figure, we see a comparison between Romania and European Union for the workers with 'Age : All' when asked 'Are you able to choose or change your methods of work?'. For the 'No' answer, Romania's score is higher than the European Union score. For the 'Yes' answer, Romania's score is lower than the European Union score. Data is based on question 54b from the sixth "European Working Conditions Survey (2015). The National comparisons visualisation presents a comparative overview for the values of all answers between two selected countries. A wide range of acts provide the legislative framework that ensures equality and non-discrimination at the workplace: Law 202/2002 regarding equal opportunities among men and women; Government Emergency Ordinance 137/2000, which sets the framework for the prevention and sanction of discrimination; and the Labour Code through a special chapter regarding equality of treatment at work. The National Council for Combating Discrimination (CNCD) is the national body in charge of ensuring equality at the workplace. CNCD’s main responsibilities are related to the prevention, mediation, investigation, sanctioning and monitoring of discrimination in all areas, including discrimination at work. The CNCD reports that in 2016, the highest number of complaints and petitions were related to discrimination at work (357 out of 842). The people being discriminated against at work can submit the complaint either to the CNCD or to a court of law. The national legislation compels employers to ensure equal treatment at work through different measures, including internal statute’s references that forbid discrimination. The labour inspectorates are the competent authorities in charge of applying the labour legislation, including equal pay aspects, but there are no reports or data regarding sanctions applied to companies in this matter. The gender pay gap in Romania is 5.8 % (2015) %. The figure is above the EU average, but the indicator is due to the difference in employment among men and women by level of education attained: the employment rate of women with primary and secondary education is much lower than the employment rate of men with a similar level of education. The share in employment is equal only in the case of men and women with tertiary education. This might encourage the conclusion that the low gender pay gap indicator is explained by the comparison between highly educated women’s wages and low-educated men’s wages. It is worth mentioning that women represent 59% of the overall number of higher education graduates. At national level, the supervisory role in the area of equality between men and women belongs to the National Council for Combating Discrimination, but also to the National Commission for Equality of Chances between Men and Women (CONES), although the latter only has a purely consultative role. CONES is formed by representatives from the government, trade unions, employers and NGOs. CONES evaluates and monitors the implementation of the national legislation and makes recommendations for central authorities aimed at the application of specific programmes in the area of equality of opportunities between men and women. There are no quotas in place for men and women. Romania ranks high in the percentage of women in leading positions, at 47% in 2013. Stoiciu, V (2017), 2016 Annual review of labour relations and social dialogue in south-east Europe: Romania, Friedrich-Ebert-Stiftung Regional Project for Labour Relations and Social Dialogue in South East Europe. Chivu, L., Ciutacu, C., Dimitriu, R. and Ticlea, T. (2013), The impact of legislative reforms on industrial relations in Romania, International Labour Office, Industrial and Employment Relations Department, Decent Work Technical Support Team and Country Office for Central and Eastern Europe, ILO, Budapest. Stoiciu, V. (2012), Austerity measures and structural reforms in Romania: Severe measures, questionable economic results and negative social consequences, Friedrich-Ebert-Stiftung, Belgrade. Trif, A. (2014), Austerity and collective bargaining in Romania national report: Romania, Dublin City University, Dublin. Guga, S., Constantin, C. (2015), Analiza impactului noii legislații a dialogului social adoptate în 2011: Cercetare sociologică și juridică, Asociația Conect.